One of the most common questions I get, right after, “how did you get into all this?”, is “where do you find all your stuff?”. It’s one of those questions that can be hard to answer. “Oh, you know, here and there” usually suffices and avoids the long story. But the truth is, I drive a lot. This weekend was a casual overnight excursion to Billings, Montana. For those of you not familiar with the area, the drive from Bozeman to Billings is just under 150 miles, and usually I make it as a day trip. So that’s a 300 mile round trip, hours on the road and a tank of gas, for the hope that maybe, just maybe, there will be some old ties or a couple of vintage hats waiting to be found. There are no guarantees in this business. But I’ve had good luck in Billings in the past. There are a number of antique shops, thrift stores, secondhand stores and the like, and I usually get lucky at at least one or two. This past weekend, one of the larger antique malls was having an outdoor antique fair, with its craigslist ad touting 70 vendors. It was enough to hopefully tip the odds in my favor. My girlfriend, Alex, and I drove out Friday night so that we could get an early start so we could be back in Bozeman before the sun started to set. 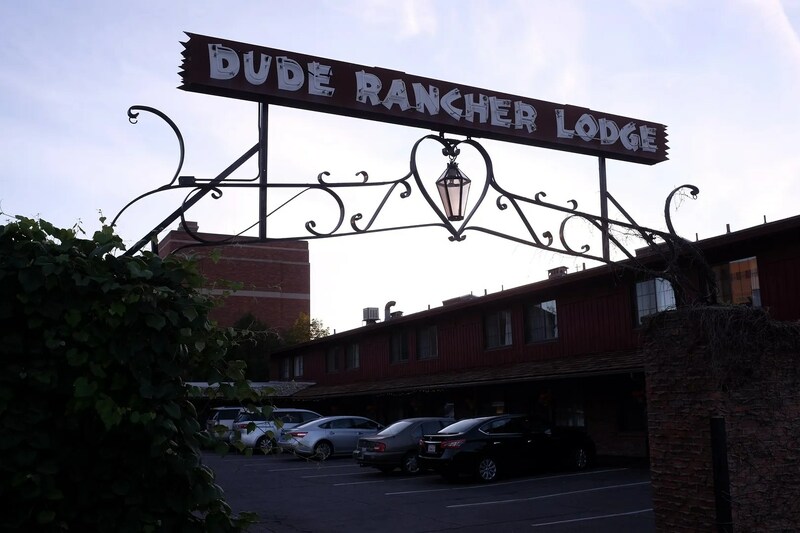 We stayed at a charming 1950s motor court, the Dude Rancher Lodge. Neon, knotty pine and exposed beam ceilings combined with recent western themed carpets and brand wall hangings courtesy an appearance on “Hotel Impossible” several years ago, made for a charming place to stay. Full of character, it was way more fun than a chain motel, and just the right kind of place for vintage people like us. We made it to the fair a little later than we had hoped, it turned out that in Billings on a Saturday morning, everyone goes out for breakfast, and lined stretched out the door of everyplace good or interesting. I went against every fiber of my being and went to the practically deserted Denny’s for a generic breakfast. I think that might have cancelled out the “shop local” cred the Dude Rancher got me. Oh well. There was a lot of re-purposed, re-painted, hand-made, shabby chic type of antiques at the fair, but also a few gems to be had. Afterward, we hit up the aforementioned antique shops in downtown Billings and a few of the thrifts. Here are a few of the neat things I spotted, but didn’t buy. It seemed like I was tripping over vintage hats and vintage neckties at every step, but I have to be selective. The market is really down on the more mundane patterns of 1940s ties, so even at the reasonable $6 a piece that one vendor was asking, there’s no way for me to make any money from that, so I let probably 30-some of them sit. Same with hats- below a certain size or a certain brim length, there’s such limited demand. Things survive in Billings. 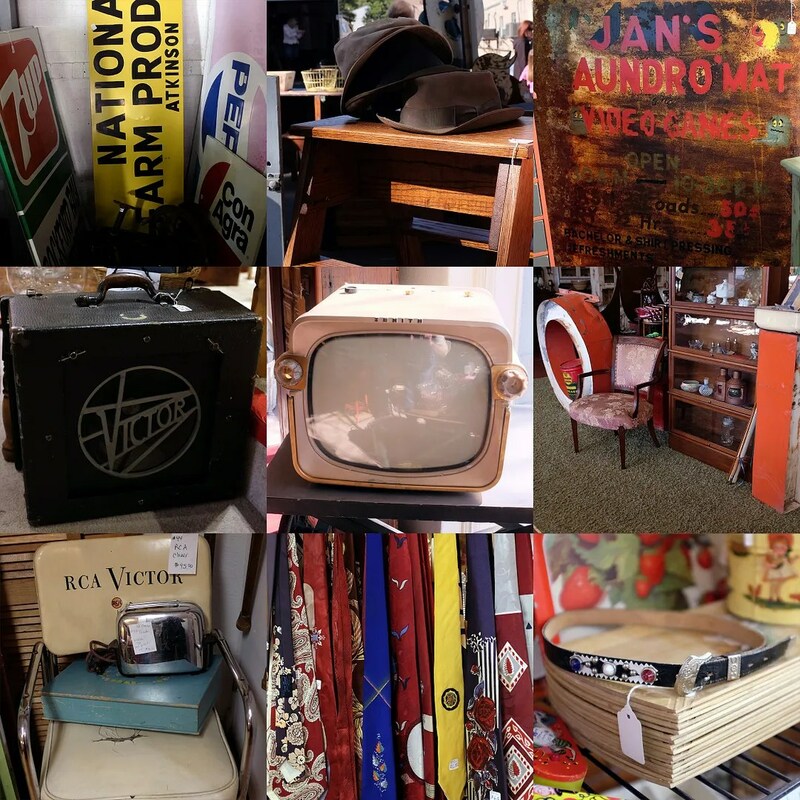 It’s a good town for lovers of vintage. 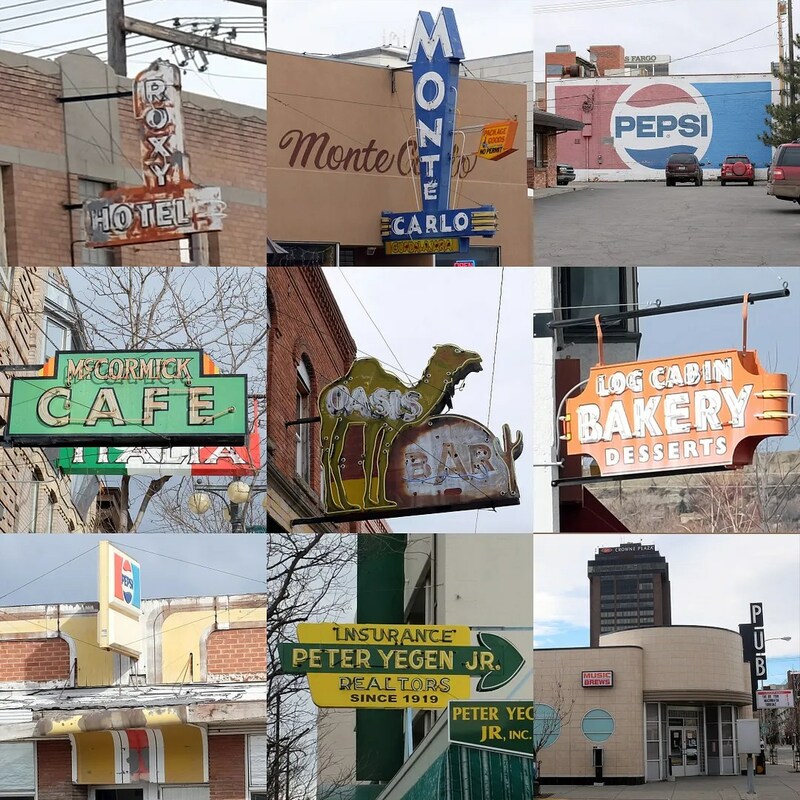 Neon signs, ghost signs, architecture. After a long day of hunting, I managed to find a good sized cache of vintage hats, most of which were originally sold within a few miles of where I found them. But for me, the real treat was that leather jacket. They’re all over the internet, but it’s getting harder and harder to find “out in the wild”. And this one’s a real beauty. Great patina and a rare model. I’d love to know who wore it some 60 odd years ago, but I can say that it’s pretty likely they rode a Harley in Billings. 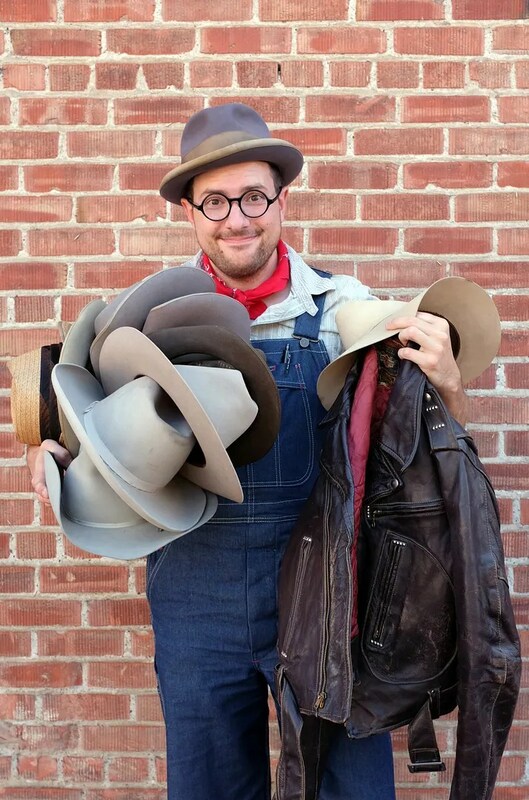 This entry was posted in on the road and tagged antiques, Billings, Cowboy hat, D Pocket motorcycle jacket, fedora, Harley Davidson, Montana, picking, thrift shop, thrifting, vintage, vintage clothing, vintage menswear, vintage picking by Spencer Stewart. Bookmark the permalink.